One fun activity when you are a professor is getting to meet academics, students, and the general public to share your work, get reactions, and receive inspiration from alternative viewpoints. 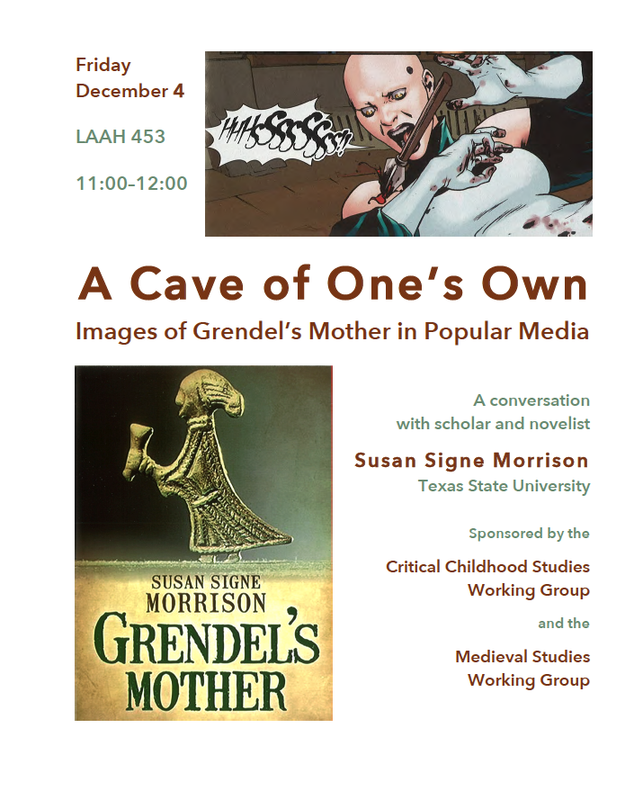 I had a great time recently at Texas A&M University talking about images of Grendel’s Mother in the popular media, focusing on comics and graphic novels. 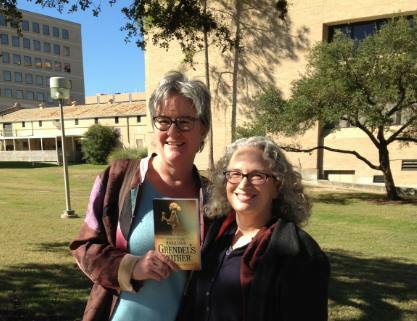 Visiting with Dr. Britt Mize of Texas A&M University on a gorgeous day in December 2015 when I spoke on images of Grendel’s Mother. 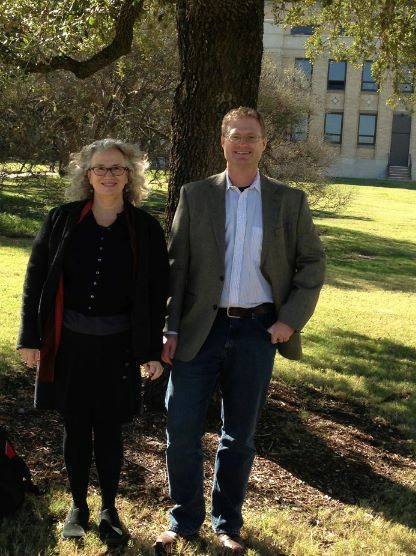 I was invited to College Station by Britt Mize, a delightful and erudite Anglo-Saxonist I’ve known for years. Only after I published Grendel’s Mother did I discover his fascination with adaptations of Beowulf. There are hundreds of them: operas, symphonies, comic books, graphic novels, novels, and children’ book, not to mention films. He shared with me pdfs of many Beowulf comics, from the early 1940’s to the 1970s to just a few years ago. I discover many interesting things about them that I will reveal in time. Suffice it to say, I used some feminist theory and lots and lots of images. The comics occasionally use hilarious dialogue. They are set in a mythic past or in some futuristic and dystopian time period. The audience in the English Department had many useful things to point out about the images. It was really fun. And I got to meet with my dear friend of many years, Dr. Claudia Nelson, a world expert on Victorian and children’s literature. 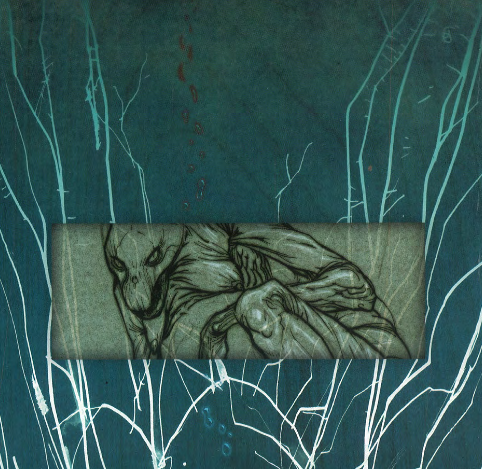 Here is one tantalizing image of Grendel’s Mother to keep you thinking. From Gareth Hinds’s brilliant and sumptuous graphic novel.